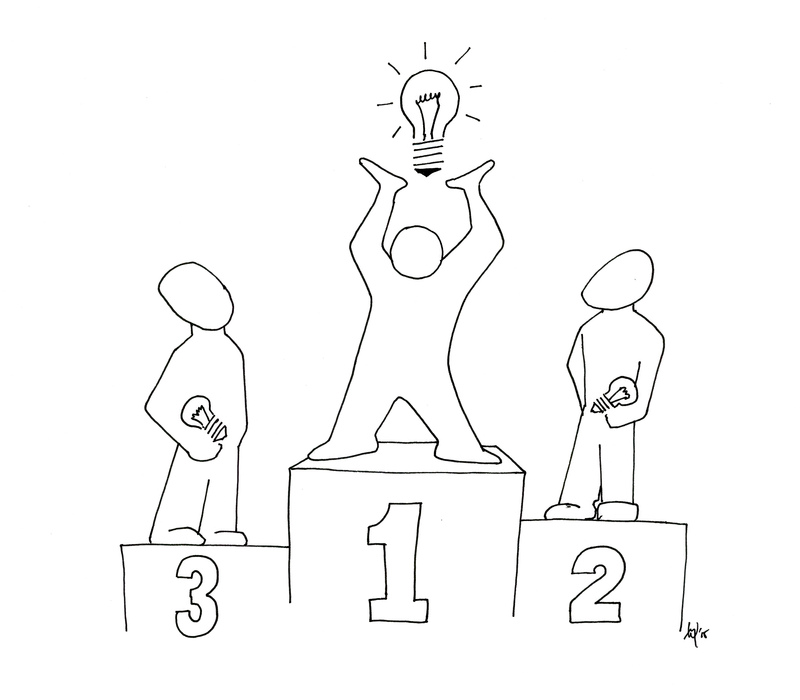 Prizes are making a comeback in the social innovation sector. For example, federal agencies in the United States open up key policy challenges and problems to the public through the challenge.gov website. Prizes range from $200 for a challenge to produce a communication campaign to raise awareness and education about mental health, to $20,000,000 for creative and innovative ideas to develop diagnostic tests that may be used by health care providers to identify bacterial infections. You assume that participants know more about the problem than you do and are therefore better able to design the best solution. For example, Chris Sigaloff of social innovation agency Kennisland, told me how her agency recently set a challenge for the city of Amsterdam about its expected shortage in schools in the near future and the insufficient variety in school offerings. People who submitted proposals for this challenge include teachers, parents, principals and members of school boards, who each have expert knowledge about the ‘problem space’. You assume that participants know more about potential solutions and technologies than you do. Hackathons such as GovHack are based on the idea that bringing together people with high programming skills leads to innovation. And the design of the diagnostic test to identify bacterial infections mentioned above obviously requires high levels of technological expertise. When I visited NESTA I met Marco Zappalorto who explained that in setting the challenge it is important to indicate how the contributions will be assessed and measured. For example, the MPrize, set by the Methuselah foundation, challenges research teams to break the world record for the oldest living mouse. The prize is awarded to the research team who are able to develop the best science and technology that supports life extension. The age of the mouse is a clearly measurable outcome. Focussing on measurable outcomes seems fair enough. In a game the rules should be clear, especially when there is a big prize at stake. But this can also lead to problems. NESTA’s ‘Hands off My Bike Challenge’ looked for ways to reduce bike theft. The instructions to participants specified that ideas would be judged by the amount of time it took to free the bike. The focus on this measurable outcome only led to submissions of new locks. However, there are many other solutions beyond locks that might prevent bike theft such as a better lock, a safer place to park, a different bike, a GPS tracking solution or a community monitoring solution (In Sydney I always park my bike close to taxi stands so the taxi drivers can keep an eye on it). For example, when they organised a hackathon around “better support for patients with heart failure and their relatives” they framed the challenge around the high levels of stress imposed on the relatives of heart failure patients, as that is one of the essential barriers for a working family life, instead of just focussing on the patient’s perspective. The instructions were accompanied by a video with interviews with a doctor, a nurse, and a patient with their relative, plus information such as statistics and analyses by patient organisations. To be able to understand the design of a productive prize challenge it might be useful to go back to the assumptions about crowdsourcing: collectively the crowd knows either more about the problem space, or the solution space. Both types of knowledge indeed are fundamental to an innovation process. But what lacks here is the expert skill to translate knowledge of the problem into an innovative solution through ‘framing’ the problem: the act of finding a new perspective on a problem. Within a design context framing is often seen as the key creative step that allows an original solution to be produced. For example, when the Designing Out Crime research centre was asked to design a ‘bomb-proof’ rubbish bin for train stations, they found through their design research that what mattered to people was not so much that the bin was ‘bomb-proof’, but that people felt safe at the station. The main problem was the vast number of false alarms. Through framing the problem as being about ‘reducing the time to assess terrorist threats’ they were then able to design a rubbish bin that was truly innovative. Would such a solution have emerged through a challenge prize? I think that would only have been possible if the challenge was not fixed on the measurable ‘bomb-proof’outcome, and if framing was integrated at some point in the challenge prize process. When focussing on the technological expertise of challenge prize participants, you could choose to keep the framing of the problem in the design process of the challenge prize itself. Based on their long experience with developing challenge prizes, NESTA has developed a sophisticated practice guide that supports people in this process. Researching the identified problem is an important element, and many experts are involved throughout. I would like to suggest that adding someone to this process who is a skilled ‘framer’, such as an expert designer, might make this process even more effective. When focussing on the problem domain expertise of challenge prize participants, the challenge needs to be framed in a much more open way to allow for a reframe of the problem. The framing can then be left to the participants. But how do you make sure that participants frame the problem in a way that aligns with what you want? For the second case it is interesting to compare the challenge prize process to the briefing process between clients and expert designers in a traditional design context. Bec Paton and Kees Dorst (2011) studied this process in detail and found that more innovative projects result when clients and designers work in a ‘collaborator’ mode. This is a mode in which both the client and the designer mutually work on framing the project. A comparable process that NESTA suggests in its guideline, and that Kennisland is now applying in the school challenge, is including an ‘incubator’ phase in the challenge prize. 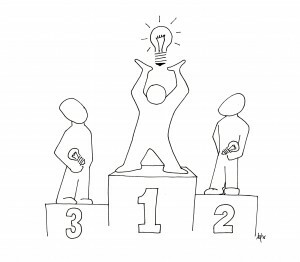 In this phase the prize giver offers support to selected participants, to drive up the quality of solutions. This support includes training and skill development, networking, collaboration and peer learning. Again I can imagine that adding someone to this incubator who can facilitate the framing and ‘briefing’ process could have considerable impact on the outcome of the process. And if you think that’s all a bit too complicated you can always just hire a designer! Paton, Bec, and Kees Dorst. “Briefing and Reframing: A Situated Practice.” Design Studies 32, no. 6 (2011): p 573-87.